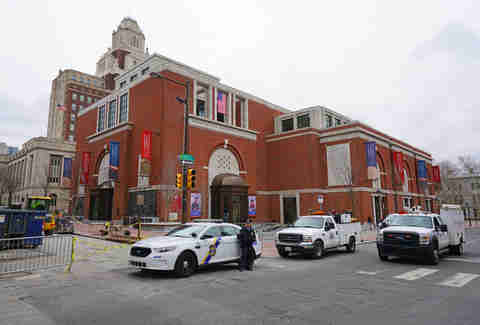 The City of Brotherly Love is loved in return for being the birthplace of our nation (hooray, freedom! 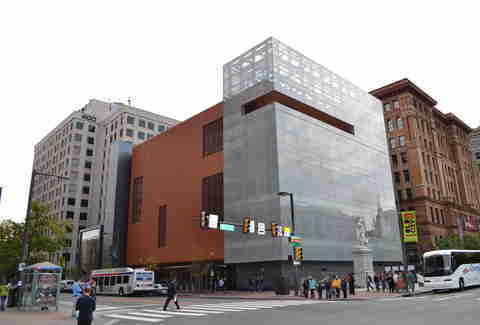 ), but its eclectic history runs farther and wider than you may know -- and where better to learn about that history than at Philly’s myriad museums? 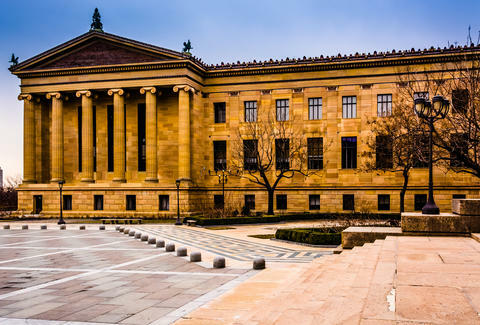 Of course, there’s more than just local history on display: from ancient art, to Al Capone’s incarceration, to folklore parades, to bouquets of human hair, there is a museum dedicated to everything enlightening, fun, and downright bizarre right here in Philadelphia. Below, you’ll find the best ones worth your admission dollar. 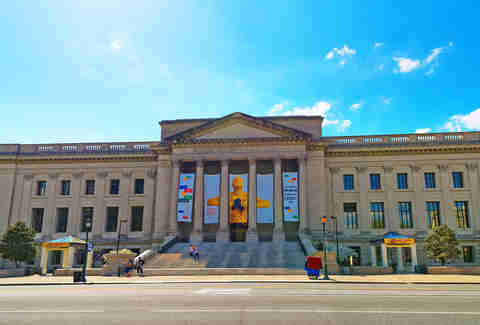 The Philadelphia Museum of Art was founded during America’s first centennial in 1876, and the celebration is still going: it remains one of the nation’s largest and most impressive galleries. The riverfront building is itself a masterpiece, reminiscent of ancient Greek temples; but more impressive is its collection, which includes more than 240,000 comprehensive treasures ranging from the Renaissance to the modern era, not to mention over 80 period rooms upstairs and an outdoor sculpture garden. Not to be missed: the art deco building, the model Asian tea houses, and the entire room devoted to fellow Philadelphian Thomas Eakins. If you’re a local, it’s worth coming back multiple times and dedicating each visit to two sections for a full experience. Just visiting? 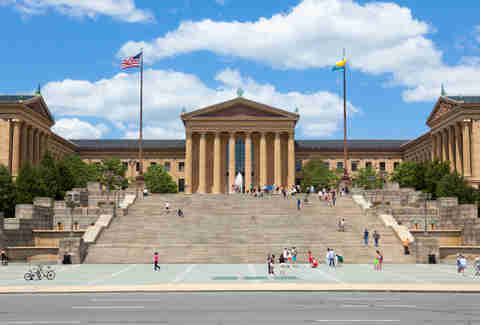 Take advantage of the consecutive two-day ticket, then end your visit with an iconic run and subsequent photo on the Rocky steps -- everyone does it, and the locals are still too excited over the Eagles’ Super Bowl win to judge you. If French Impressionist art is your language, skip Paris; The Barnes’ new Spring Garden setting is home to an impressive gallery of masterpieces, including 69 Cézannes (more than in all of France), Renoir, Matisse, Degas, Picasso, plus early-modern African art. Namesake Albert Barnes taught people to view art in relation to visual experiences, so the museum is uniquely organized by aesthetic concepts (like light, lines, and color) instead of region or genre. Come on a warm day, and the outdoor landscape is just as gorgeous as the two-story building itself, which boasts a glass canopy and green roof that’s set up for water reuse. 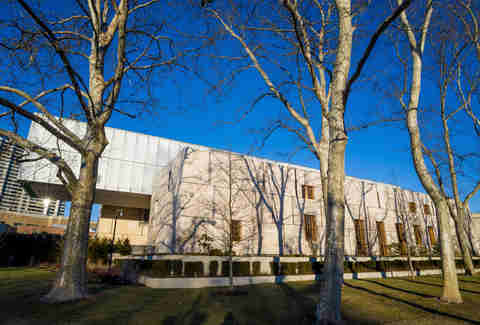 What to know before you go: The Barnes Foundation is open 11am to 5pm Wednesday to Monday, and closed on Tuesdays. Admission is $25, and free the first Sunday of every month (but you should get there early to avoid long lines). Every first Friday of the month, you can enjoy after-hours live music, cocktails, plus special talks and exhibits. The Barnes is walking distance from the SEPTA train line, or you can splurge on valet parking for $20. While it just opened its doors in 2017, this Revolutionary War museum takes you on a comprehensive, immersive journey through the pivotal era in American history. And what better place to view the first newspaper that printed the Declaration of Independence than just a few blocks from Independence Hall? As 13 colonies become a united nation, you’ll watch (and get involved) as your textbooks come to life -- we’re talking realistic (and eerily well-casted) military reenactments, opening shots heard ’round the world, huge recreations of the Liberty Tree and an 18th-century privateer ship, exhibits that put you in front-line battle, plus dramatic installations of art, books, and weapons. The highlight? A short film followed by an unveiling of George Washington’s actual war tent. What to know before you go: The Museum of the American Revolution is open daily from 10am-5pm. Tickets are $19 online or at the door, and are good for two consecutive days; Early Access or Guided Highlight tours come with an extra price tag. What to know before you go: The Franklin Institute is open 9:30am-5pm daily; for special events Thursday to Saturday, last entry is at 6:30pm. Tickets are $23 for adults, and $19 for children (members get in free). Note that tickets for special exhibits and escape rooms are limited and not included in general admission, so consider purchasing in advance. On-site parking exists, but is limited. This 19th century American prison was once the most expensive and notorious prison in the world; today, the historical site stands grandly in ruin and is a beautifully haunting attraction (some paranormal teams claim it’s actually haunted). ESP opened its doors in 1829 and was the first to experiment with reforming convicts via strict isolation, housing infamous crooks like Slick Willie Sutton and Al Capone (you can actually see his cell on a tour). Daytime tours of the cell blocks include audio or hands-on history guides, plus artist installations, but if you want a real scare, visit around Halloween for Terror Behind The Walls, when the prison transforms into a massive and utterly terrifying haunted house, complete with carnage, shock therapy, and zombie inmates running amok. Sleep well! 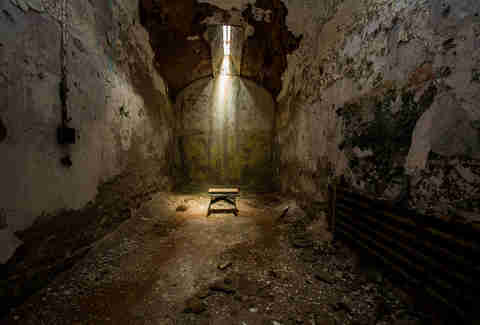 What to know before you go: Eastern State penitentiary is open 10am to 5pm, every day. Admission is $14 for adults, and while guided tours cost the same, they are date-specific. Terror Behind The Walls is extremely popular; online advance ticket sales begin in May and are highly recommended. In any event, wear comfy, closed-toed shoes. Ever wanted to see remains of Einstein’s brain? The liver(s) of conjoined twins? A collection of 139 human skulls? The bodies of us homo sapiens are fascinating things, and this museum dedicated to medical peculiarities will “disturbingly inform” you. The Mutter Museum (part of The College of Physicians of Philadelphia) is not your typical science exhibition: you’ll dive into a morbid sphere of over 25,000 objects, including anatomical human models, wet and skeletal specimens, bizarre medical apparati, and even balloon-sized testicles. The Civil War Medicine exhibit is a must-see to learn how and why the wounded and sick ended up in Philadelphia. What to know before you go: The Mütter Museum is open daily from 10pm to 5pm, with tickets priced at $18; Mondays and Tuesdays are $2 cheaper for walk-ins. If you’re a local who enjoys ill osteological findings more than most, consider becoming a Mutter member for free admission all year. The annual Mummers parade on New Year’s Day is the oldest folk festival in the US and a long-standing Philly tradition of 100+ years; ipso facto, this museum is truly a one-of-a-kind Philadelphia experience. Tours immerse you in a world of vibrant color, ornate props and costumes (that you can try on), video archives, history, and authentic music. There’s even an exhibit dedicated to teaching the official “Mummer’s strut.” On Thursdays in the summer, the museum hosts free evening concerts under the stars. 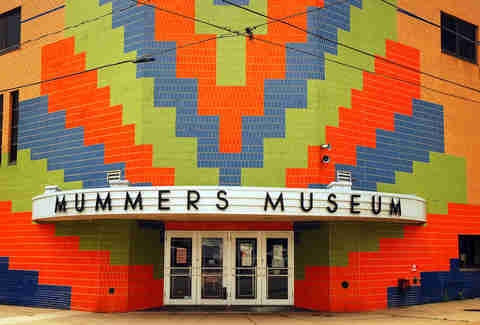 What to know before you go: The Mummers Museum is open 9:30am to 4pm Wednesday to Saturday, year-round. Admission is only $5, and parking is free in the museum’s lot. Outdoor concerts operate on a weather-permitting and BYOLC (bring your own lawn chair) basis. Located right in the center of Philly’s historic district, this Smithsonian affiliate illuminates US history through the eyes of the American-Jewish culture. The building itself is an architectural stunner with four floors; start from the top in 1654, and begin a chronological, poignant journey that explores this group’s experience far beyond the Holocaust. You’ll learn in-depth about Jewish American immigration, challenges, triumphs, and contemporary issues via interactive exhibits, powerful artwork, and religious artifacts. Regardless of your faith, the museum celebrates the importance of America’s multicultural DNA, and how it came to be. Protip: Save time for the gift shop. What to know before you go: The National Museum of American Jewish History is open 10am to 5pm Tuesday to Friday, and 10am to 5:30pm Saturday & Sunday. Admission is $15, with prices slightly slower online. NMAJH is closed most federal, and some Jewish holidays. If your life motto is “I wanna go fast!” but the closest you’ve ever been to a 1958 Aston Martin was in your dreams, here’s the museum you’ve been waiting for. 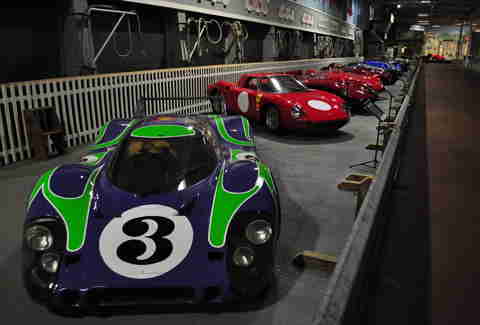 This epic collection of racing sports cars was assembled over 50 years, and is one of the best in the world. From the American Underslung, to the WWII-era BMW 328, to the 1960’s Jaguar that Mick Jagger was outbid on, the showroom is brimming with classics and muscle that showcase the fascinating history and evolution of automobiles. There are always special events going on and every other Saturday is Demo Day, when you can see/hear display and special guest cars purring outside in the parking lot. What to know before you go: The Simeone Foundation Automotive Museum is open 10am to 6pm Tuesday to Friday, and 10am to 4pm Saturday & Sunday. Tickets can be purchased online or at the door for $12 (demo days included); tours are mostly self-guided, and last admission is 90 minutes before closing time. Brooke Sager is a contributing writer and Philly-area transplant from NYC. She’s already planning her Halloween costume for Terror Behind The Walls. Follow her on Twitter and Instagram.